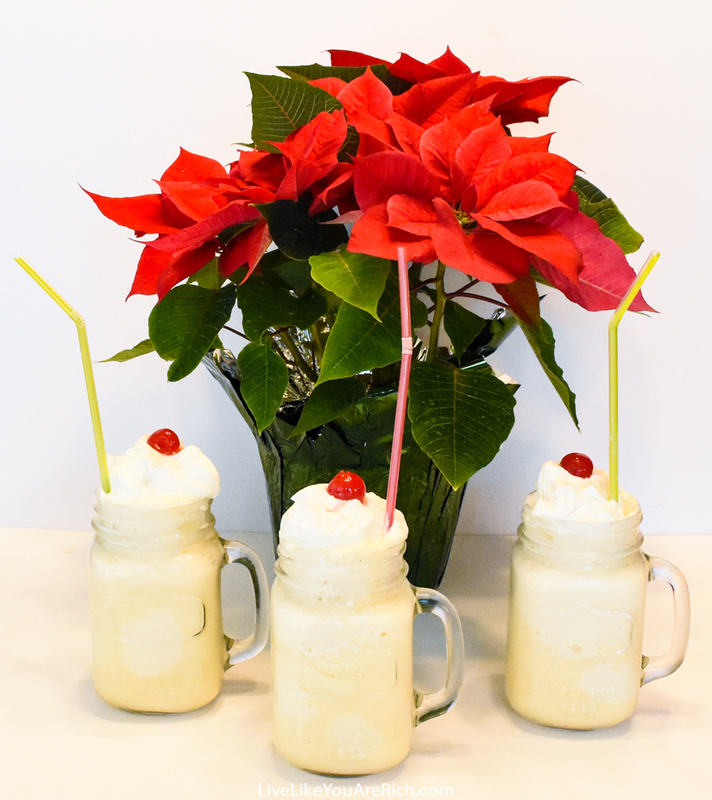 Eggnog is such a festive treat. During the holiday season, I love to eat eggnog flavored treats, drink it mixed with Sprite, and see it on the shelves in the grocery stores. Each year since my son’s birth, I have gotten a McDonald’s Eggnog Shake. It has become a tradition. This year they no longer have them in my area. So, I set out to create something similar. What I created is very similar and I dare say almost better. Give it a try. 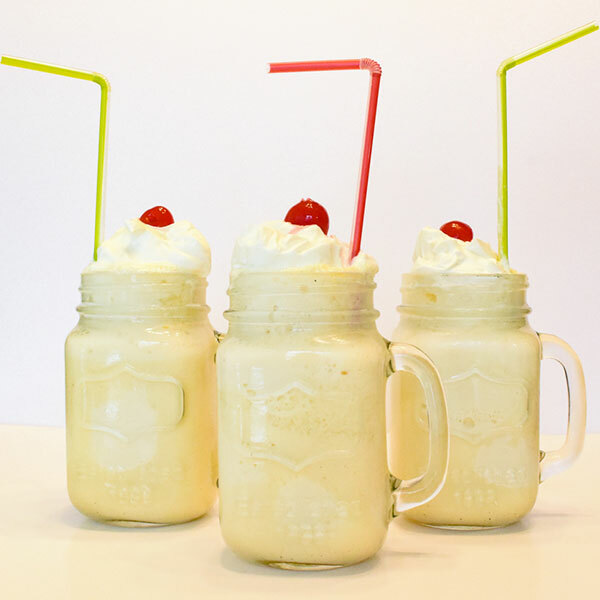 I seriously doubt you will be disappointed with this eggnog float. 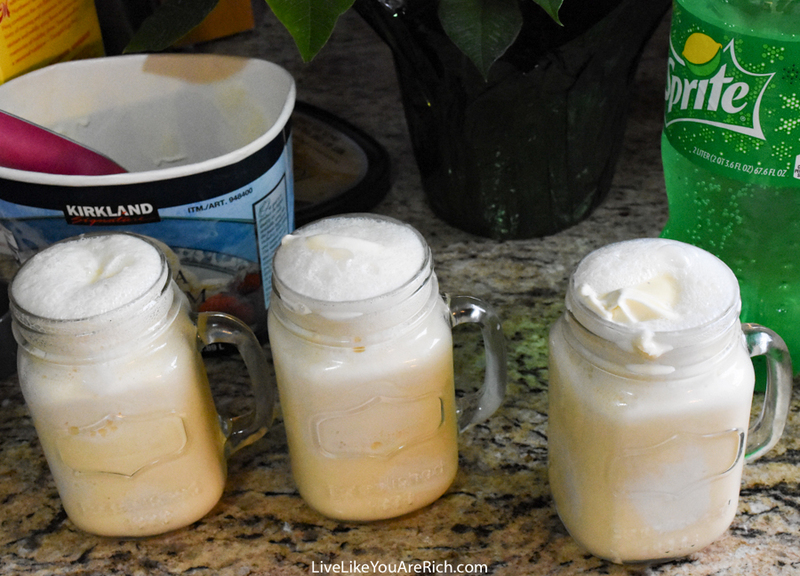 Oh and don’t skimp on/skip out on the whipping cream because it really brings it all together and makes this float taste amazing! 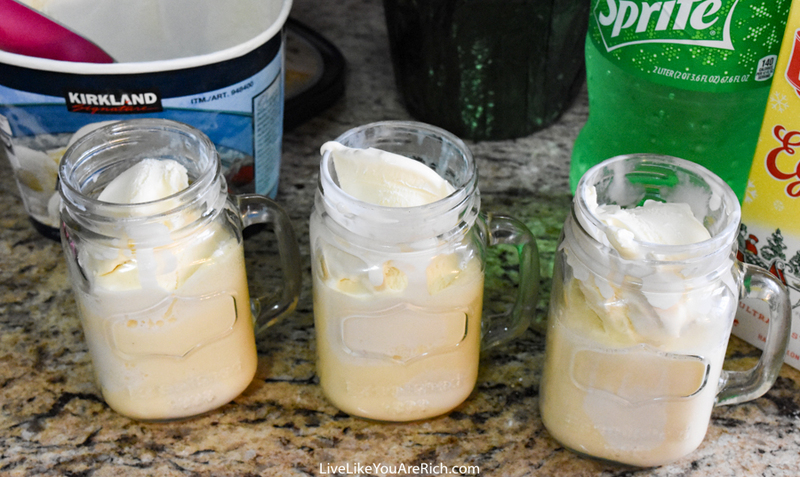 Begin whipping the heavy whipping cream, vanilla (I always use Mexican vanilla extract—it’s seriously the best! ), and confectioner’s sugar together until stiff peaks form. Pour 1/4 Cup eggnog into each glass. 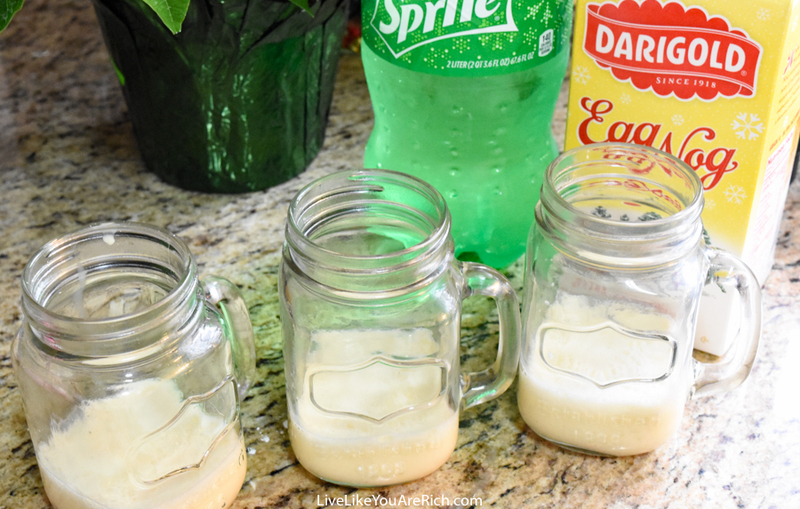 Then add 1/4 Cup Sprite into each glass. Spoon in 3 generous scoops of vanilla ice cream ~1 cup. Then cover the float with whipping cream. Garnish with a maraschino cherry. 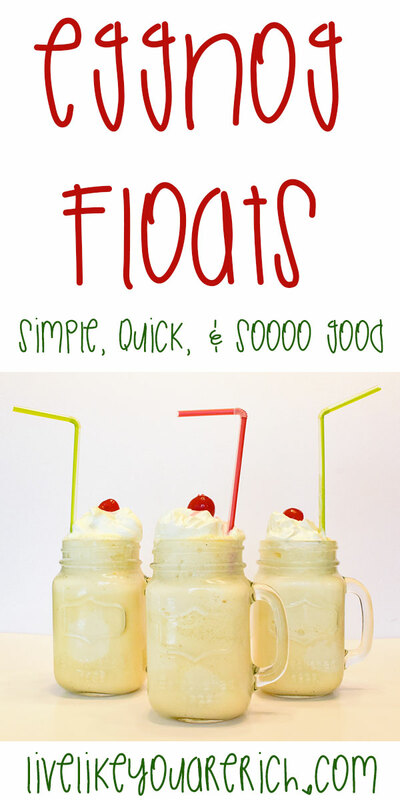 Eggnog Floats - Give it a try. 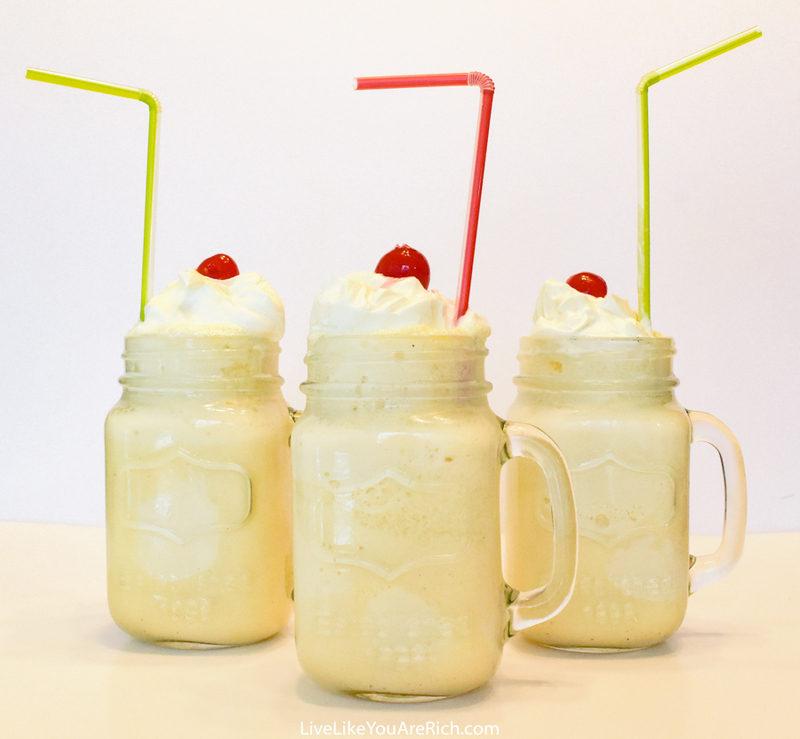 I seriously doubt you will be disappointed with this eggnog float. It is simple, quick and sooooo good! Begin whipping the heavy whipping cream, vanilla (Mexican extract is the best), and confectioner's sugar until stiff peaks form. Pour ¼ Cup eggnog into each glass. Then add ¼ Cup Sprite into each glass. Then cover the float with whipping cream and garnish with a maraschino cherry. I’m so glad you liked it. Thanks for stopping by!